After an evolution in the format of the Jaume's music, in 2007 will unite the NAFAS Ensemble, musical platform for putting on scene the new aesthetic and conceptual phase of its music. The consecuence is a much more contemporary languaje leaving back more traditionals reminiscences. It has formed a coupling between these different Instruments sharing a single role and leadership. In 2011 the Ensemble published TARIQ (Autoedited / Harmonia Mundi). They get an incursion into the song world with the specials colabotations of Francisco Albeniz (from La Busqueda), Marcel Cranc and Silvia Perez Cruz. They are selected by Miquel Martí i Pol Awards in the V Contest Terra i Cultura for the best song in 2012 from a Catalan poet with the song Absencia (poem by Pere Quart). 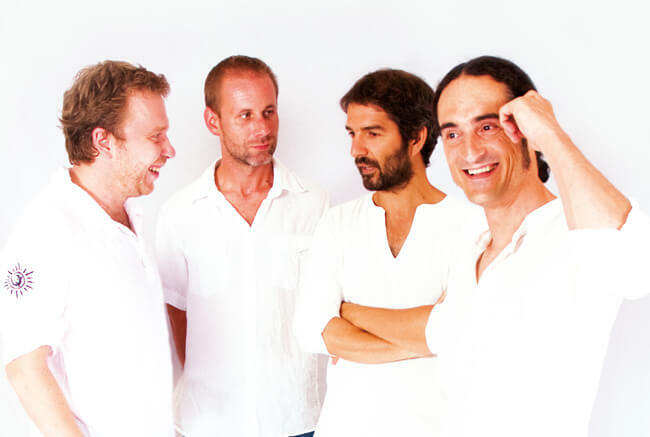 In 2014 they reissue their work TARIQ with the prestigious English label Arc Music obtaining excellent international critics and the recognition as one of the best discs of “world music” of 2014 according to the specialized magazine of the US World Music Central. In 2013 the Ensemble premiered its second album (fourth for Jaume Compte) entitled VODA dedicated to the Balkans.